Who buys Houses in Stockton? We Buy All Kinds of Houses even Ugly Houses in Stockton! 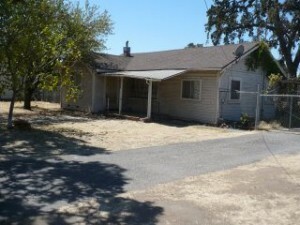 My name is Peter Westbrook and I am a cash home buyer and We Buy Houses in any Condition (even houses that are run down and ugly) in and around Sacramento Galt, Lodi, Stockton, Manteca, Modesto and Tracy CA. Conventional wisdom in the real estate market says that distressed or run down and ugly houses are difficult to sell and clog up the Multiple Listing Service. But I know that No house is hard to sell if it is marketed properly to the right audience and priced right. If you are a homeowner that owns a house that need repairs, you have a challenge because if you call a real estate agent, most will not understand the specific market niche that your house is in because it does not fit in to what they do. Most real estate agents love to sell pretty houses. They are easy and what they do well. So when an ugly house comes along, it’s outside their training and instincts kick in and the house becomes the obstacle… either that or they pick up the phone and call me… the cash home buyer. Marketing is a matter of targeting and when you consider that 100% of all agent advertising is focused on attracting new buyers for move in ready condition homes you realize that 95% of all buyers in today’s real estate market are looking to buy a house that is ready to move into, today. 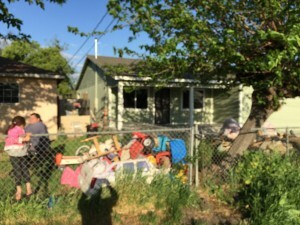 So how are you going to sell a house that is run down or ugly to these buyers if you’re real estate Agent is marketing it to buyers that want a house that is in “move-in ready condition”? The short answer… you are not! 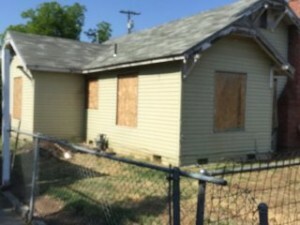 If, however, you focus your time and energy of selling your ugly house in Stockton to cash home buyers, you can sell your Stockton house fast, pay NO Commissions, pay no closing cost, avoid lengthy closings and you don’t even need to fix it up. You’ll save thousands of dollars in repair cost, thousands more in additional mortgage payments and other holding costs (time waiting for the house to be completed), you’ll save hundreds of hours finding and managing the right contractor (to finish and remain on budget) mitigate the little surprises that come with repairs that cost you more time and money by just selling your house for cash so you can move on with your life. That is what you want… right? 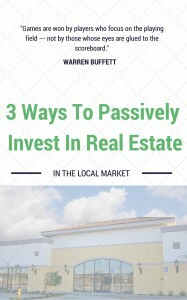 In my real estate investing business there are many things that make me cringe, but there no four things higher on the list than people that lie, conventional wisdom (the stuff from the experts usually about something that they don’t understand), bad advice, (more stuff from the experts about things they generally don’t know anything about) and a lack of common sense (the final component that they lack). Combine the four and you have a powder keg of misinformation designed to lead (and in most cases mislead) the general public towards a behavior preferable to the real estate professionals. 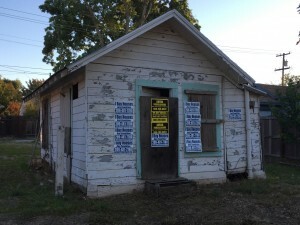 When I started my full time real estate investing business almost 10 years ago I wasn’t interested in the conventional wisdom from the experts to focus on the glamour of “flipping $200,000 plus houses. I was interested in “the run down and Ugly House” that no one else wanted, in neighborhoods that others turned their backs on. I have never used the word “ugly” as a pejorative, in fact it is not. I use it, because, it is a standard phrase that the We Buy Houses is used to get homeowner’s to call them. I use it to get you to call me and I mean no offense. What the advertising should really say is that we buy houses that are in run down and have many ugly situations because that is the only reason that houses themselves ever validate that ugly label. 10 years ago I knew the experts were wrong and I knew that if I focused my efforts on the under $200,000.00 houses, I could help a lot of people on both sides of the home ownership equation. 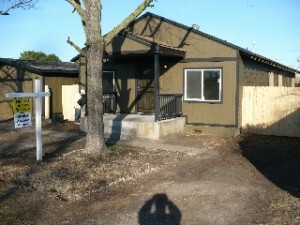 First, I could help the homeowner that needed to sell a house that was UGLY fast. 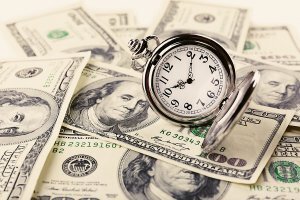 I realized that if a homeowner was struggling to barely meet monthly mortgage payment, with doubts about how long they could continue, they would not be spending thousands of dollars on repairs to keep the home in tip top condition. In fact, depending on the circumstances, the free-fall of the condition of the house was directly related to the financial free fall that the homeowner was in. I believed that I could help these people get out from underneath a behemoth of an ugly mortgage and at the same time allow them to move on with their lives with at least their credit intact. 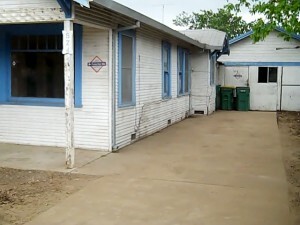 I could then fix the house that was run down and ugly and place another family that was ready to take on the challenge. The conventional wisdom of the day in 2008 and 2009 was that Houses that we run down and ugly were hard to buy and sell and if you owned one, your house was going sit and just get Uglier. It was true… or was it? 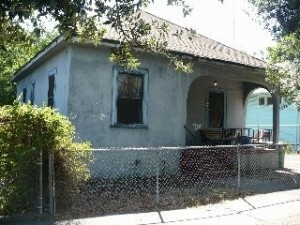 As a Real Estate Investor that pays cash for these houses with Westbrook Real Estate Investments in Stockton, CA. 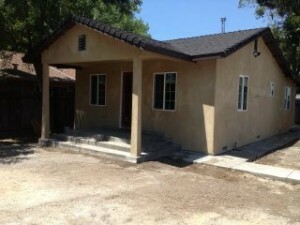 We specialize in buying houses in Stockton in any condition, without contingencies, without inspections, without bank financing and without a worry that I can take that ugly house and make it beautiful again. You have alternatives, you can call a Realtor and they will want you to make all kinds of repairs, updates and improvements all of which can and will cost you thousands of dollars. In short, they are going to want you to spend thousands of dollars to bring a house to a “Market Ready Condition”. One with the curb appeal that can compete with other houses for sale within your neighborhood. And of course they will want you to LIST the house at a competitive price so they can try to sell it with a 6 month listing agreement and collect their 6% commission. Also keep in mind that the market is saturated with houses by other homeowners and that does not take into consideration the hundreds and maybe even thousands of houses on the market by banks because of Foreclosures. It is estimated that for every one house that is available through the Multiple Listing Service by a homeowner there are almost 2 others that are listed by the Banks. 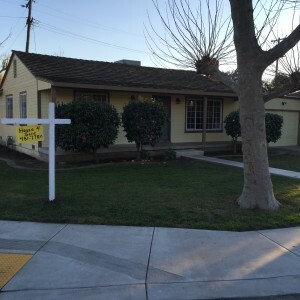 That equates to a lot of downward pressure on the Stockton Real Estate Market. 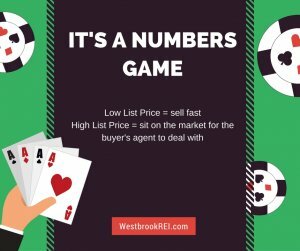 When you add to that cost, the average number of days it takes to sell a house, what are your chances of getting “top dollar” for your house even if market prices continue to rise? I am not a Real Estate Agent, I am a Real Estate Investor and We Buy Houses from Homeowners just like you that need to sell their houses today. If you take into consideration the number of reasons that people have houses that they want to sell, then you begin to understand that one of your best alternatives is to sell your house for cash to me. The latest statistics on housing purchases saw that only 1 in 5 buyers in the market for real estate can actually qualify to get a new home loan. Think about it. Even if you were to do everything the Real Estate Agent asked you to do to get your house ready for a sale, what are the chances that someone that made an offer on your house could actually qualify for a loan and actually close on the sale? In my experience it is slim and what I see are a lot of frustrated homeowners that have spent thousands of dollars rehabbing a house only to find that it sits. Or worse, they will never get the money back that they spent to get the house ready for the sale. 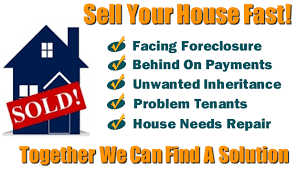 You Can Avoid all of that Frustration by letting us buy your Ugly House for cash. Then you need to call me and I will speak to you personally regarding all of your options. 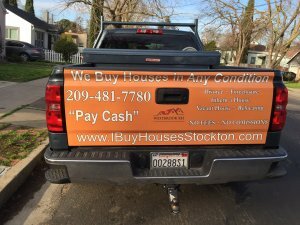 I have been a real estate investor and Cash Home Buyer in Stockton for several years and in many cases I can just pay cash for the house. In other cases I may elect to just take over your payments so you can avoid financial disaster that comes with a foreclosure or bankruptcy. Whatever your unique situation is I can help. Please Call me at (209)481-7780 for a confidential meeting so we can discuss your Real Options in today’s Real Estate Market.